SANAA, Yemen — Cholera is surging once again in Yemen, with the U.N. reporting that the number of suspected cases has doubled in March over previous months and doctors in overwhelmed health facilities fearing it could rival a 2017 outbreak that spiraled into the world’s worst flare-up. Two other outbreaks since 2016 caused more than 1.4 million suspected cases and killed more than 3,000 people. Most of those stemmed from an outbreak that began in April 2017 and grew into the world’s biggest. “The outbreak this year is much worse and the situation is very dangerous,” said Adel al-Alamni, head of the cholera treatment center at al-Sabeen. 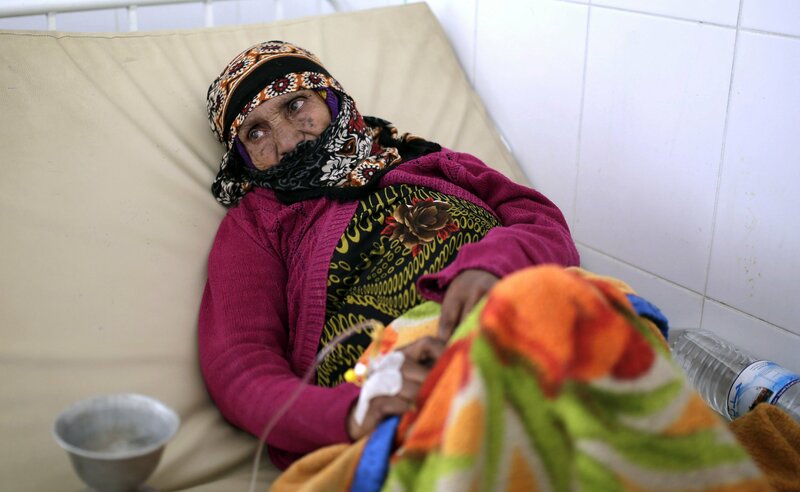 The destruction wreaked by Yemen’s civil war has created prime conditions for cholera’s spread. The conflict is between Shiite rebels known as Houthis who control the northern part of the country and a Saudi-led coalition backing the internationally recognized government, based in the south. Fighting and airstrikes have damaged sewage systems and water stations. Most people don’t have access to clean water, particularly the more than 3 million driven from their homes by the war. The main water treatment facility outside Sanaa has broken down. Sewage water is often used to irrigate fields, potentially infecting food supplies, and it leaks into wells, the main source of water. The cholera adds to what is already the world’s worst humanitarian crisis. Nearly two thirds of Yemen’s 23 million people are in need of some sort of aid and possibly tens of thousands have died of malnutrition, preventable diseases and epidemics. The surge in cholera has been centered in districts around Sanaa and other parts of the north. The relief agencies Doctors Without Borders and Save the Children warned last week of an “alarming spike” with 1,000 children infected with suspected cholera every day. Among the most recent deaths were two pregnant women, along with their unborn babies. Among the dead was al-Mansouri’s colleague, Dr. Mohammed Abdel-Moghni, who had treated children during the recent waves of cholera. Doctors say deaths can still occur from complications that the U.N. centers can’t detect. The centers, for example, are not equipped to deal with kidney failure, said Dr. Jamal Abdel-Moghni of al-Thawra Hospital, one of Sanaa’s biggest. It is one of only two facilities in Yemen that are able to treat kidney failure.